SAIFM is the leading professional body for financial markets practitioners and promote professionalism and integrity in the financial markets. The workshop is aimed at giving the delegates insight into the nature fixed income markets with a strong focus on understanding the instruments, pricing, and market practice for dealing in fixed income markets. The interest rate environment and the risks of trading these markets will be examined. The associated derivative instruments will be covered to give insight into their application for hedging long-term interest rate risk. Exercises will be conducted in the two days to cement the concepts. An intensive workshop offering participants the opportunity to get to grips with the different instruments traded on the JSE and over-the-counter markets in South Africa. This workshop will explain the nature of the various instruments, their application and uses as well as the risk involved in trading in these instruments. The jargon used in the markets will be demystified. This one-day workshop is aimed at providing insight into the basic calculations for people working in financial markets. A step-by-step approach will be used to explain the use of the HP10b financial calculator. Delegates will have the option to either bring their own, or purchase a financial calculator from SAIFM. Foundational to the program is developing the ability to calculate the value of a single cash flow, multiple cash flows and the application of these calculations for pricing and valuing financial instruments. The ability to determine a rate of return on an investment and convert a nominal interest rate to an effective yield will also be clearly explained. Many practical examples will be conducted to cement concepts. An intensive workshop offering delegates the opportunity to develop their skills in differentiating between the different classes of derivatives. The workshop will identify the different participants and their role in the derivative markets. Both the over-the-counter and exchange-traded markets will be examined. A clear understanding will be given of derivative contracts’ characteristics, pricing, application, settlement and risks. The workshop will explain the role of banks in the economy and the functions performed by them as well as describe the main risks that banks face namely capital risk, credit risk, market risk, liquidity risk, operational risk and strategic/business risk. The workshop will analyse how these risks are incurred and best practice ways of managing them. From Basel I to Basel III. The objective of this workshop is to outline the development of the Basel international capital standards since 1988. It explains how each generation of standards, from Basel I to Basel III, has changed to reflect changes in the financial system, address deficiencies in previous standards and respond to regulatory arbitrage i.e., banks’ efforts to circumvent the intended constraints placed upon them. A well-trained and efficiently organised financial market operations department is essential to complete every transaction. The operations department provides a vital service to the front office by ensuring that all funds flow in a timely and correct manner and that all the necessary documentation is completed. The Regulation of Financial Markets. This one-day workshop will assist participants to practically manage regulatory changes, particularly those introduced and proposed after the 2007/08 financial-crisis. 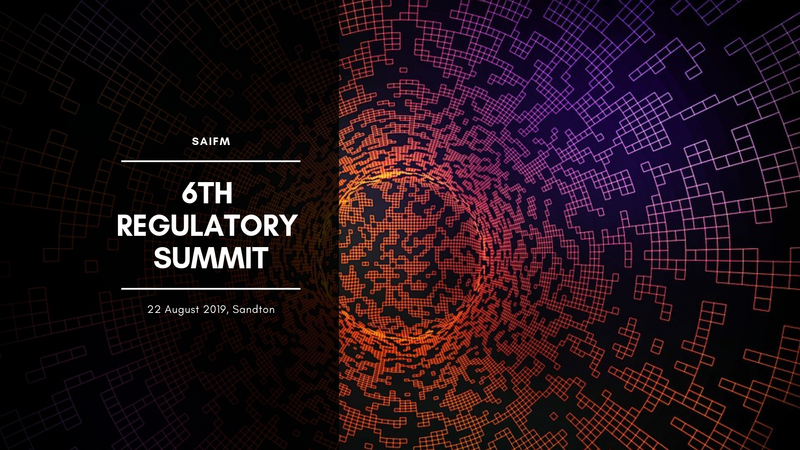 The workshop provides an introduction to the principal elements of the regulatory environment for South African financial markets. It outlines the respective objectives and roles of existing and proposed regulators, their supervisory approaches, the key concepts of authorisation, supervision and enforcement and the powers available to the regulators in the event that a firm, or an individual, breaches regulatory requirements. In addition major financial reforms such as those aimed at bringing all derivatives trading under the scrutiny of public authorities will be outlined. The SAIFM is a non-profit voluntary association established to promote professionalism and integrity in the financial markets. SAIFM offers several exciting workshops. The SA Financial Markets Journal is SAIFM’s official online magazine.